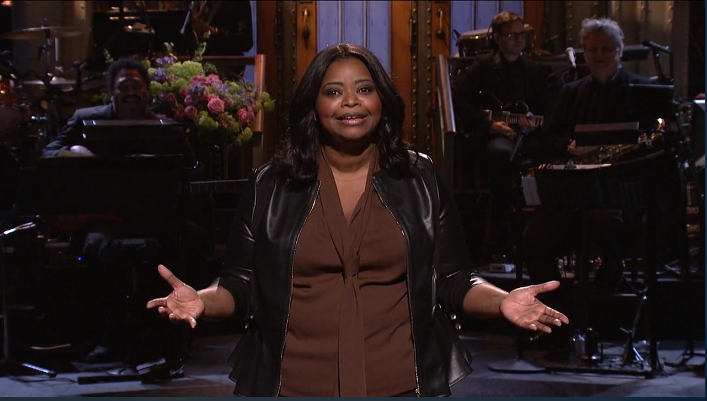 Auburn alumna Octavia Spencer ‘94 became the first Auburn graduate to host Saturday Night Live last week. Graduating in 1994 with a bachelor’s degree in liberal arts, Spencer was recently nominated for an Academy Award and Golden Globe for best performance by an actress in a supporting role in “Hidden Figures.” She previously won an Academy Award and Golden Globe for Best Supporting Actress in “The Help” in 2012. During her monologue on SNL, she pokes fun at the fact that she has played a nurse 16 times in her career as an actress. But when she is given the opportunity to step outside that role, she proves to the industry she can deliver. Spencer was born in Montgomery, Alabama and has six siblings. She graduated from Jefferson Davis High School. On March 21, 2012 she was honored by the Alabama Legislature in declaring this day as Octavia Spencer Day in Alabama.